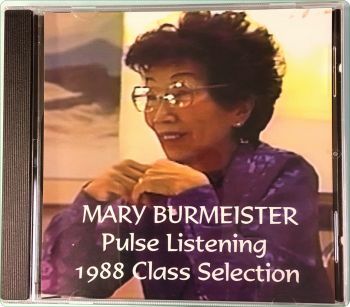 Experience what it was like to sit in Mary Burmeister’s class in 1988 and learn about Jin Shin Jyutsu pulse listening. Enjoy seeing her warm and dynamic presence, hearing her voice, and learning more about Jin Shin Jyutsu from Mary herself. Whether your level of training and study is advanced or novice, you’ll be inspired after spending an hour in class with Mary Burmeister.